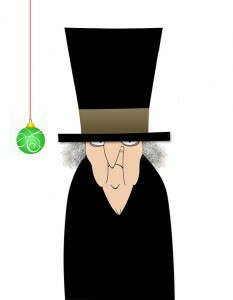 From The Legal Genealogist to all those who have so enriched my life in 2012… I wish you the merriest of Christmases! Actual message may differ from illustrations on pages. All rights reserved. All screen images are simulated. Allergic reactions may include hives, difficulty breathing, wheezing and rash. Allow four to six weeks for delivery. American bills are acceptable. Any judgments you make will be based on the information you have provided you about yourself, which is probably vague, incomplete or embellished. Any resemblance to actual persons, living or dead, is unintentional and purely coincidental. Wish does not cover misuse, accident, lightning, flood, tornado, tsunami, volcanic eruption, earthquake, hurricanes and other Acts of God, neglect, damage from improper reading, incorrect line voltage, improper or unauthorized reading, broken antenna or marred cabinet, missing or altered serial numbers, electromagnetic radiation from nuclear blasts, sonic boom vibrations, customer adjustments that are not covered in this list, and incidents owing to an airplane crash, ship sinking or taking on water, motor vehicle crashing, dropping the item, falling rocks, leaky roof, broken glass, mud slides, forest fire, or projectile (which can include, but not be limited to, arrows, bullets, shot, BB’s, shrapnel, lasers, napalm, torpedoes, or emissions of X-rays, Alpha, Beta and Gamma rays, knives, stones, etc.). Dealer participation may affect actual wish. Do not bend, fold, mutilate, or spindle. Do not breathe vapors. Do not disturb. Do not drive after reading. Do Not Feed The Animals. Do not immerse in water. Do not place head through towel loop. Do not puncture, incinerate, or store above 120 degrees Fahrenheit and below 49 degrees Centigrade. Do not remove this disclaimer under penalty of law. Do not run with scissors. Do not stamp. Do not store or use near heat, sparks or open flame. Do not use in an area where moisture is present. Do not use while operating a motor vehicle or heavy equipment. Do not write below this line. Documents are provided “as is” without any warranties expressed or implied. Door must remain unlocked during business hours. Driver does not carry cash. Drop in any mailbox. Enter at your own risk. Falling rock. First pull up, then pull down. For a limited time only. For best results process promptly. For educational purposes only. For external use only. For off-road use only. For office use only. For recreational use only. For topical use only; do not take internally. Freshest if eaten before date on carton. Wish-maker does not warrant or assume any legal liability or responsibility for the accuracy, completeness, or usefulness of any information, apparatus, product, or process disclosed. Hand wash only, tumble dry on low heat. Harbormaster must approve all dockage. Harmful if swallowed. If a rash, redness, irritation, or swelling develops, discontinue reading. If any defects are discovered, do not attempt to fix them yourself, but return to an authorized service center; read at your own risk. If blurred vision occurs, flush eyes with water. If condition persists, consult your physician. If ingested, do not induce vomiting. If you are not the intended recipient, do not read. Ignorance is no excuse. Illustrations are slightly enlarged to show detail. Just add water. Keep away from fire or flames. Keep away from sunlight, pets, and really really small children. Keep children with you. Keep cool; process promptly. Keep right except to pass. Limit one-per-family please. Limited time offer, call now to ensure prompt delivery. List at least two alternate dates. Wish was current at time of printing. Ask for senior discount. Lost ticket pays maximum rate. May be too intense for some viewers. May conduct electricity; never place directly on electrical equipment. May contain peanuts or milk products. Must be 18 to enter. No alcohol, dogs, or horses. No American coins. No animals were harmed in the production of these documents. No artificial flavor, MSG or coloring added. No Canadian coins. No lifeguard on duty. No money down. No passes. No postage necessary if mailed in the United States. No postage necessary if mailed to a Canadian Member of Parliament. No preservatives added. No purchase necessary. No refunds without receipt. No right turn on red. No shoes, no shirt, no service. No solicitors. No standard monitoring is required. No substitutions allowed. No transfers issued until the bus comes to a complete stop. Not affiliated with the American Red Cross. Not liable for damages due to use or misuse. Not recommended for children. Not responsible for direct, indirect, incidental or consequential damages resulting from any defect, error or failure to perform. Not responsible for direct, indirect, incidental, or consequential damages resulting from wish. Objects in mirror may be closer than they appear. One half hour earlier in Newfoundland. One size fits all. Open other end. Other copyright laws for specific entries apply wherever noted. Other restrictions may apply. Package sold by weight, not volume. Past performance does not predict future results and people can and do lose money. Penalty for private use. Place stamp here. Please remain seated until the ride has come to a complete stop. Please step to the rear of the elevator. Poetry not accepted. Possible penalties for early withdrawal. Post office will not deliver without postage. Prerecorded for this time zone. Price does not include taxes. Privacy Notice: The contents herein are intended solely for the intended recipient. Processed at location stamped in code at top of carton. Processed in a facility where nuts are present. Quantities are limited, while supplies last. Read at your own risk. Reader assumes full responsibility. Record additional transactions on back of previous stub. Recording prohibited. Replace with same type. Reproduction strictly prohibited. Restaurant package, not for resale. Return to sender, no forwarding order on file, unable to forward. Safety goggles may be required during use. Sanitized for your protection. Santa Claus is keeping a list. Sealed for your protection, do not use if the safety seal is broken. See label for sequence. Shading within a garment may occur. Shock hazard. Shut off motor – No Smoking. Simulated picture. Slightly enlarged to show detail. Slightly higher west of the Mississippi. Slightly higher west of the Rockies. Slippery when wet. Small parts may present a choking hazard. Some assembly required. Some equipment shown is optional. Some of the trademarks mentioned in this product appear for identification purposes only. Stop, drop and roll. Subject to change without notice. Subject to Customer Agreement and credit approval. Substantial penalty for early withdrawal. Terms are subject to change without notice. That dog won’t hunt. This wish is void where prohibited, taxed, or otherwise restricted. This is not an offer to sell securities. This is only a test. This offer is void where prohibited, taxed, or otherwise restricted, which includes 98% of Canada. This product is meant for educational purposes only. This supersedes all previous notices. Times approximate. Traffic fines doubled in construction zones. Use only as directed. Use only in a well-ventilated area. User assumes full liabilities. Wear protective eyewear when using. You may distribute this message freely but you may not make a profit from it. You must be present to win. You must be this tall to enter this ride. You need not be present to win. Your canceled check is your receipt. Did I miss … Do Not Fold, Spindle, or Mutilate? It’s there, Keith!! Look in the “Dealer participation” paragraph!! Happy holidays to you and yours too! Now those are terms of service I can accept – nothing left out, nothing extra promised, nothing to worry about. Thanks for all that you do to keep us safe, legal, and merrily finding our ancestors. Merry Christmas. It takes a lot to make me literally “laugh out loud”, but you’ve done it! I know how long it took me to read it, so I can only imagine how long it took to write! I’m printing out a copy to bring to my family’s Christmas gathering later today…when things get stressful there I’m going to bust it out! Hopefully that’s not copyright infringement but the old folks barely know how to turn on their computer, still have a dial-up connection and wouldn’t know how to click on a website if their life depended on it! A very joyous holiday wish to you as well! Definitely one of the toppers, Judy! And the little clipart of a person… you’re definitely much better-looking… really! Thank you so much for a wonderful year of legalities to learn and places to search. Have yet another wonderful year in 2013. Cheers! Thanks so much for the kind words, Celia. Have a wonderful Christmas!! You forgot to say that you should not try this at home and that this should only be tried by true professionals. I’ll add those next year, Jeff! Thanks (and thanks for the card too!). Merry Christmas! This blog may contain flashing lights which may potentially trigger seizures in people with photosensitive epilepsy. A very small portion of the population have a condition which may cause them to experience epileptic seizures or have momentary loss of consciousness when viewing certain kinds of flashing lights or patterns that are commonly present in our daily environment. These persons may experience seizures while watching some kinds of television pictures or reading alarming legal explanations. People who have not had any previous seizures may nonetheless have an undetected epileptic condition. Rolling on the floor!!! These will be added next year! Thanks, and Merry Christmas, Barbara! LOVE this! After a very long day, my family heard me laughing aloud at my computer at this….and quoting some particularly comical pieces. Since they rarely hear me laughing when I am hot on the trail of our ancestors (moan, curse, yell, shout with joy, cry — yes — but not laughing). Thanks for sharing. Thanks for the kind words, Barbara! Merry Christmas to you and yours. Usually when I see a disclaimer that is as inclusive (and restrictive) as this, the “Please wait until the ride comes to a complete stop.” clause is left out. Congratulations, you DID include it. However, you missed one projectile: tomatoes. Added to the list for next year, Dan! Happy New Year to you and yours as well.